Make yourself at home in one of the 2 guestrooms, featuring kitchens with refrigerators and ovens. Flat-screen televisions with digital programming provide entertainment, while complimentary wireless Internet access keeps you connected. Conveniences include microwaves and electric kettles, and housekeeping is provided daily. Make yourself at home in one of the 2 guestrooms, featuring kitchens with refrigerators and ovens. Flat-screen televisions with digital programming provide entertainment, while complimentary wireless Internet access keeps you connected. 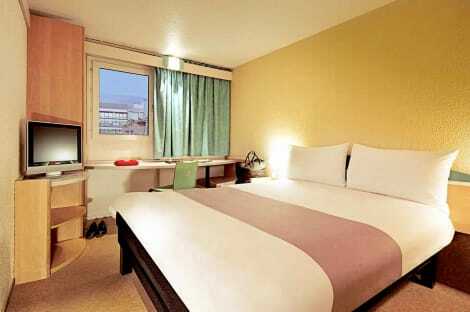 Conveniences include microwaves and electric kettles, and housekeeping is provided daily. With a stay at Campanile Hull - City Centre in Hull, you'll be within a 10-minute drive of University of Hull and The Deep. 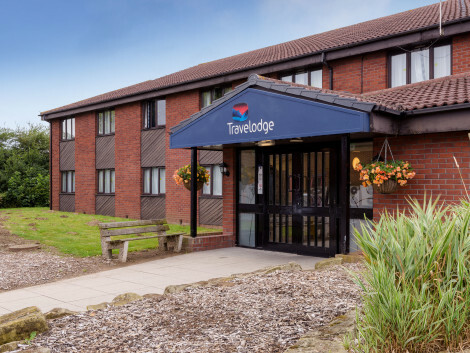 This hotel is 0.5 mi (0.8 km) from St. Stephen's Shopping Centre and 0.5 mi (0.9 km) from Hull Truck Theatre. 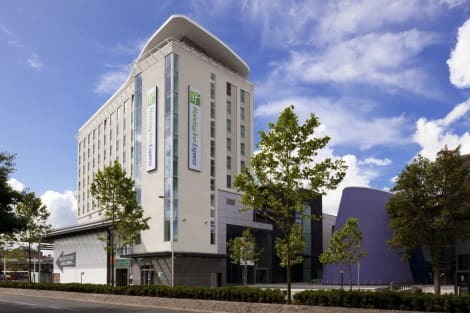 Convenient hotel with free WiFi and inclusive Express start breakfast in Hull’s newly revitalized city centre The Holiday Inn Express® Hull City Centre hotel offers convenience and comfort in the centre of Hull. 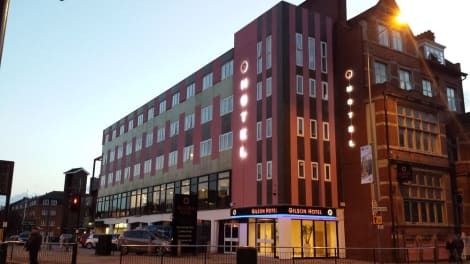 The hotel is next door to Hull Paragon Interchange, the city’s integrated bus and rail terminal, and 45 minutes by taxi from Humberside Airport (HUY). Ferries to Belgium and the Netherlands leave from the city’s east end, a 10-minute drive away. The hotel makes a great base for sightseeing. A 15-minute walk will take you to the winding cobblestone streets and historic charm of Hull’s restored Old Town. The Streetlife Museum of Transport is a popular draw for both adults and kids, and the Hull Maritime Museum is also a tourist favorite. Futuristic aquarium, The Deep, is just a 10-minute drive from the hotel. For car parking use St. Stephen’s Shopping Centre HU2 8QP. Work in the Business Centre or host a meeting in one of three rooms. The Hull office of Smith & Nephew is a 20-minute walk, and Reckitt Benckiser Health Care UK and BP and Siemens are within easy reach by car. You can order a drink from hotel's bar and relax in Great Room or on the outdoor balcony. An inclusive Express start breakfast with hotel options, free WiFi and abundant parking at low daily rates round out hotel's amenities. Welcome to DoubleTree by Hilton Hull, a new hotel in Ferensway. Once the site of the Lexington Avenue nightclub, our contemporary hotel is perfectly located for exploring city centre and beyond. Walk to St Stephen’s and Princes Quay shopping centres, the Ferens Art Gallery, local theatres, and Hull’s many free museums. Transportation is fast and convenient with bus and rail stations just steps away.Enjoy a warm chocolate chip cookie at check-in, and settle into a guest room with sumptuous beds and comforts like complimentary WiFi, a Smart TV, air conditioning and ergonomic workspace. Our corner-room suites offer a living area with sofa, a private bedroom, beautiful city views, and cozy bathrobes and slippers.Join us for breakfast, lunch and dinner in the stylish atmosphere of Marco Pierre White Steakhouse & Bar. Our lobby lounge is the perfect spot for casual meetings or afternoon tea, and the rooftop Electric Bar is sure to be a highlight of your stay. Call on room service anytime for a delicious meal delivered to your door.Plan a conference or celebration at our DoubleTree Hull hotel with flexible event space including a pillar-free ballroom for up to 1,000 guests. Host a training session or social event in your choice of attractive boardrooms and meeting rooms. Our catering services, A/V technology and dedicated staff will ensure every event is a success. Hull, officially called Kingston upon Hull, is a city in the East Riding of Yorkshire, in north-eastern England. The city has a rich maritime heritage that saw it suffer heavy bombing during the Second World War. However, Hull has since risen from the ashes to become one of the most culturally diverse places in the country. Although Hull was the second most heavily bombed British city during the Blitz, its history as a great maritime city means there is still a wealth of architectural gems to explore. The centrepiece of the city is Queen Victoria Square, which contains the magnificently domed Maritime Museum and City Hall. City Hall suffered severe damage during the war but, since reopening in 1950, has become the focal point of the community once more. Today it regularly hosts concerts and shows featuring some of the biggest names in music and comedy. The Maritime Museum, which is free to enter, is an imposing Victorian structure dedicated to Hull's illustrious seafaring history. There is an exquisite staircase within and exhibitions on both marine life and shipping to interest people of all ages. After visiting the museum, take a stroll in the lovely Queen's Gardens, which are built on top of the old docks. The gardens contain rows of gorgeous flowerbeds, seating and a large grassy area perfect for a picnic on a sunny day. For a more contemporary look at Hull's relationship with the sea, head to the Marina, which saw a major redevelopment in the early 80s. The area is lovely for a walk and has some brilliant pubs and restaurants. Every year over the first weekend of September, the Marina is also the venue for the Sea Fever Shanty Festival. The festival attracts the best shanty singers from across the globe that all come to Hull to have a terrific knees-up and a good old sing. Take a trip below the waves at The Deep, an enormous aquarium that overlooks the Humber Estuary. Built to commemorate the millennium, the aquarium is home to thousands of different fish and is one of the most visited attractions in the whole of the north of England. Aside from all the great cultural attractions of the city, Hull is also home to some of the most exciting restaurants in this part of the country. If you're after a formal dining experience, head to the Boar's Nest, which is housed in an incredibly lavish Edwardian building. For something a bit more modern, Café Pasaz is an ecologically minded bistro that uses only locally sourced produce to make its delicious food. After dinner, head to The Adelphi, Hull's legendary underground music venue, where you can dance the night away to some great indie sounds. All in all, a Hull hotel offers a portal into one of Britain's most vibrant and exciting cities. So why wait? Book yours now.